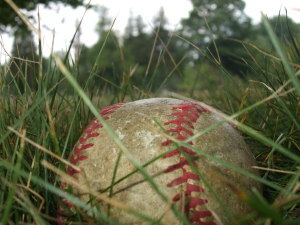 Over the course of ninety-two years, the Supreme Court has consistently affirmed and re-affirmed a special exemption from the antitrust laws for the “business of providing public baseball games for profit between clubs of professional baseball.” There is a state action exemption, an insurance exemption, a labor exemption, and a . . . baseball exemption? That’s right. A baseball exemption from the federal antitrust laws. The Ninth Circuit—in an opinion courtesy of Judge Alex Kozinski—just applied this exemption in City of San Jose v. Office of the Commissioner of Baseball, which rejected San Jose’s antitrust lawsuit challenging Major League Baseball’s “attempt to stymie” the relocation of the Oakland Athletics to San Jose, California. Update: On October 6, 2015, the US Supreme Court, without comment, declined to hear this case. Because the Supreme Court rejects the vast majority of petitions for cert., I wouldn’t read too much into this. Of course, if at least four Justices had wanted to revisit the historical exemption, they could have done so. Why is There a Baseball Exemption from the Antitrust Laws? In the 1920’s, the Supreme Court decided a case called Federal Baseball Club of Baltimore v. National League of Professional Baseball Clubs, which held that the Sherman Act didn’t apply to the business of baseball because such “exhibitions” are purely state affairs. As Judge Kozinski explained, the reasoning behind the Supreme Court’s decision reflected the “era’s soon-to-be-outmoded interpretation of the Commerce Clause.” In other words, back in the day, courts didn’t assume that almost every economic activity was within federal jurisdiction. Thirty-years later in Toolson v. New York Yankees, Inc., the Supreme Court affirmed Federal Baseball on different grounds. The Court recognized that the Commerce Clause reasoning no longer applied, but observed that despite the Federal Baseball governing law that the federal antitrust laws don’t apply to baseball, Congress hasn’t legislated to the contrary. So it left the baseball exemption. Finally, in 1972, the Supreme Court decided the Classic Antitrust Case of Curt Flood v. Kuhn, which is the famous baseball exemption case. The Court specifically addressed baseball’s reserve clause, which essentially prohibited free agency. When a player’s contract ended, the team still retained the player’s rights. Once again, the Supreme Court upheld the baseball exemption based upon Congress’ inaction. Interestingly, Congress did finally act: In 1998, it passed the Curt Flood Act, which withdrew baseball’s antitrust exemption with respect to labor issues (including the reserve clause), but expressly retained it for franchise relocation, which is at issue in City of San Jose. Other sports, by the way, do not have similar exemptions. The baseball exemption is limited to baseball. The Ninth Circuit had little trouble applying the baseball exemption in this case. It is Supreme Court precedent and until either Congress or the Supreme Court rules otherwise, it is the law of the land. Indeed, the Ninth Circuit did point out that because Congress acted to withdraw part of the baseball exemption and leave the rest, it would “infer congressional intent to leave that issue undisturbed.” San Jose had argued for a narrow reading of Flood v. Kuhn, limiting it to the reserve clause. But the Ninth Circuit rejected that argument because it was inconsistent with other circuit authority, as well as the 1998 legislation. Notably, following precedent, the Ninth Circuit also rejected California antitrust claims. Typically, state antitrust claims apply on top of federal antitrust claims. So if the federal claim doesn’t apply, a plaintiff might still pursue a claim under state antitrust law. But once again, baseball is special. The Supreme Court had held in Flood that because state antitrust claims could lead to an easy maneuver around the baseball exemption, they conflict with federal law. This case doesn’t create any sort of circuit split, but it is still possible that the US Supreme Court may have interest. If it decides that it is time to place baseball under the same antitrust regulation as other sports leagues, it could accept review of a cert petition (if one follows from the Ninth Circuit ruling). But, in my opinion, the 1998 legislation makes this unlikely. Congress has acted. It didn’t necessarily legislate a baseball exemption, but by removing only part of it, it seems clear that it purposely left the remainder, including (expressly) franchise location. Finally, you didn’t ask, but I will tell you anyway, I am a huge baseball fan, particularly of the Minnesota Twins (as I grew up in Minnesota during the days of Kent Hrbek, Kirby Puckett, Frank Viola and the 1987 World Series victory). In the National League, I favor the San Diego Padres (which shouldn’t be a surprise). Update: The Ninth Circuit currently has another baseball antitrust exemption case pending: a group of minor league baseball players brought a class against the Commissioner of Baseball and the MLB baseball teams, alleging that they conspired to fix salaries they pay to the minor league players in violation of the antitrust laws. The case is called Miranda v. Office of the Commissioner of Baseball. The trial court relied on City of San Jose to uphold the exemption and dismiss the case. Here is the opening brief to the Ninth Circuit in this new baseball antitrust exemption case. Here is the answering brief from the Commissioner’s office. And here is the reply brief. Update (June 26, 2017): As expected the Ninth Circuit in the Miranda case, once again, applied the baseball antitrust exemption. Relying largely on precedent, especially the Court’s 2015 City of San Jose decision, the Court held that the antitrust exemption for baseball applied to the antitrust action by minor league baseball players. You can read the opinion here. You should expect that the players will seek review by an en banc panel of the Ninth Circuit and eventually the US Supreme Court.